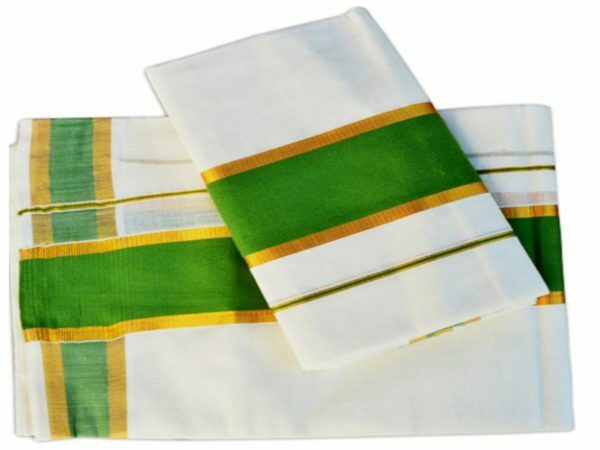 To be a part of traditional festival you can choose Kerala Set Mundu for traditional look. 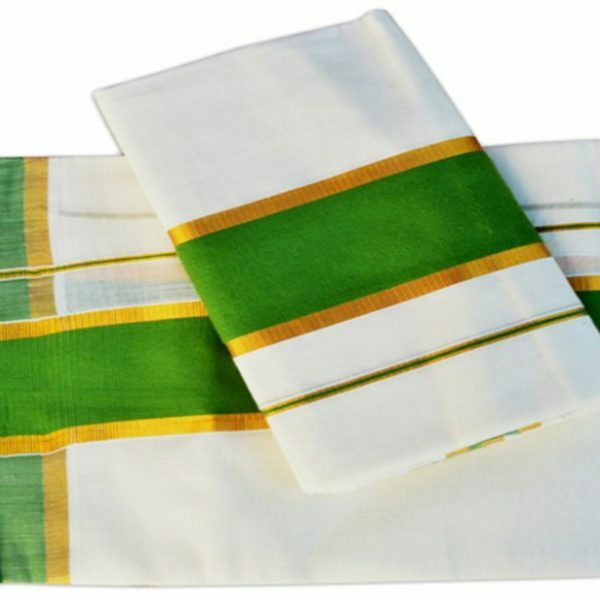 It is white Set Mundu with thick green stripe and thin kasavu Border is really attractive. 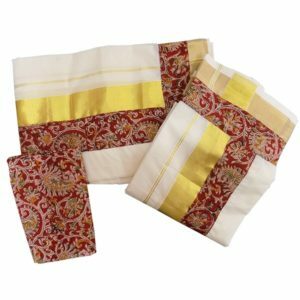 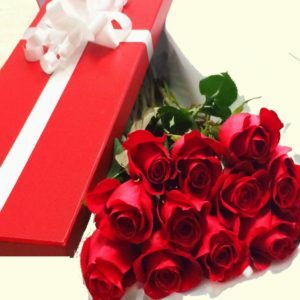 This Traditional Clothing gives the royal rich effect which make the wearer more gorgeous.